This is why we only employ designers who have relevant design degrees and experience, and then we provide training to develop their knowledge of appliances and kitchen design. 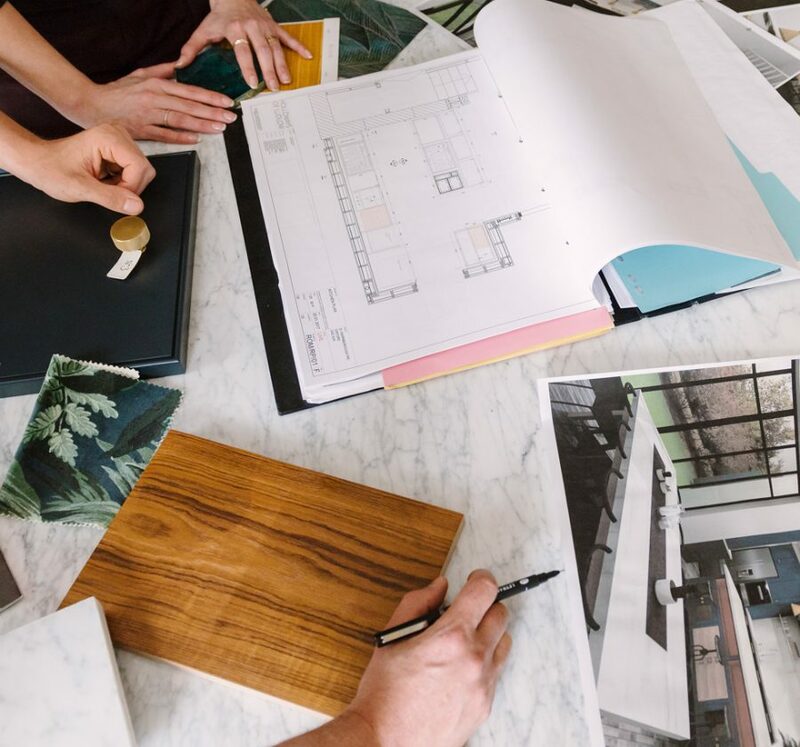 The key to a great kitchen design is a thorough brief. Every client’s circumstances are different, and many don’t know how to articulate their needs, or visualize their ‘look’. We know how to tease out the information we require. We usually meet clients at their home for our initial brief. We can then take responsibility for our own measurements and we can understand the space in a way that just isn’t possible without having seen it first hand. 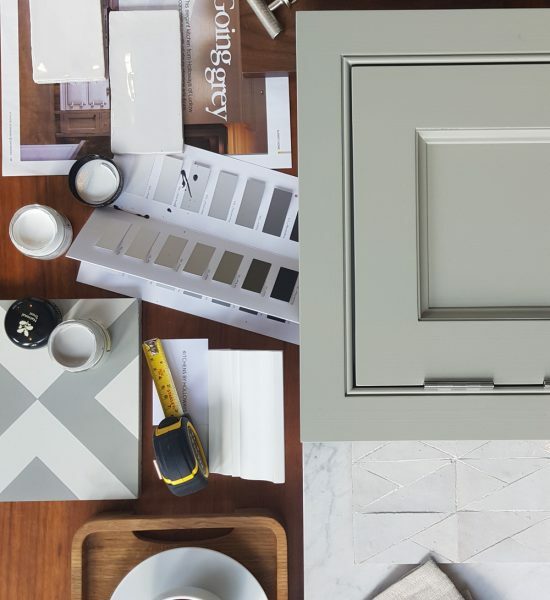 After taking a brief, we prepare plans and 3D images of the new kitchen and adjoining spaces, to show layout options. We usually present these initial ideas in the home, to provide context, and help clients to better visualize our proposals. 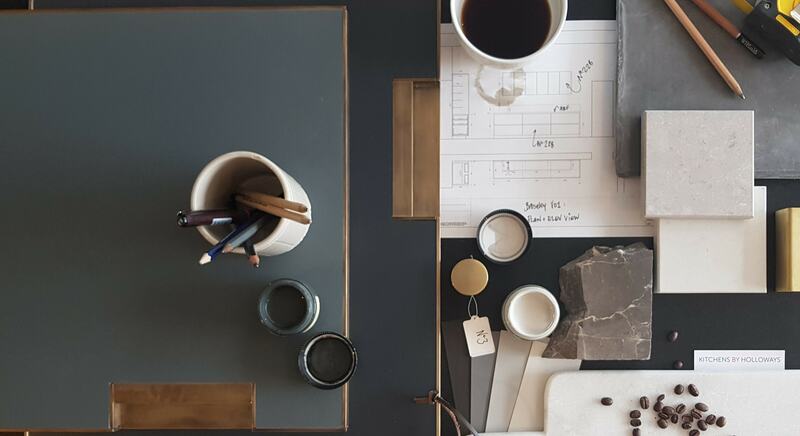 Once the layout and basic kitchen style are coming together, we begin to introduce colour, texture, materials, finishes and lighting to cabinets, worktops, floors, walls, splashbacks, accessories, and other furniture, until the final design is brought to life. 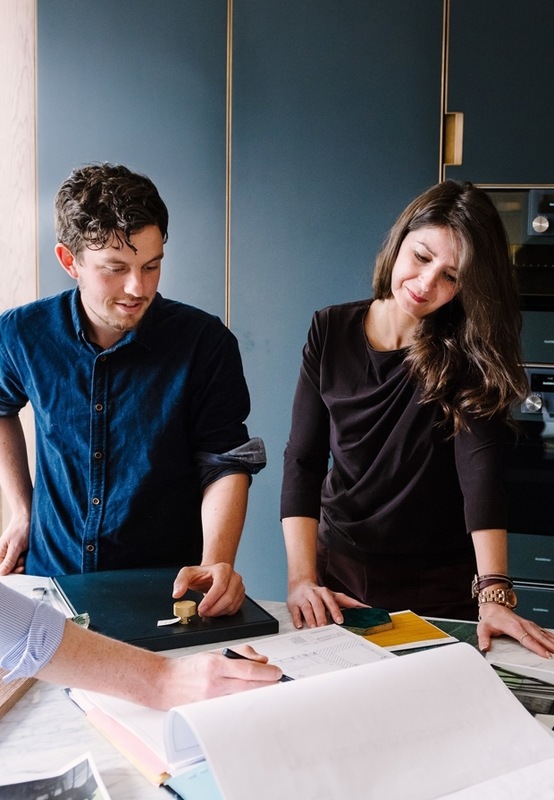 Our designers receive regular training by appliance manufacturers so, after listening to your brief, they will be able to suggest the best appliances to suit your design and budget. A new kitchen is expensive, so it’s worth ensuring it will be the best it can be. It’s not only the value of your home which depends upon it. You and your family will simply get more out of your kitchen if it’s designed well. We design hundreds of beautiful kitchens each year, so we’ll get it right for you, and we’ll do that within your budget. 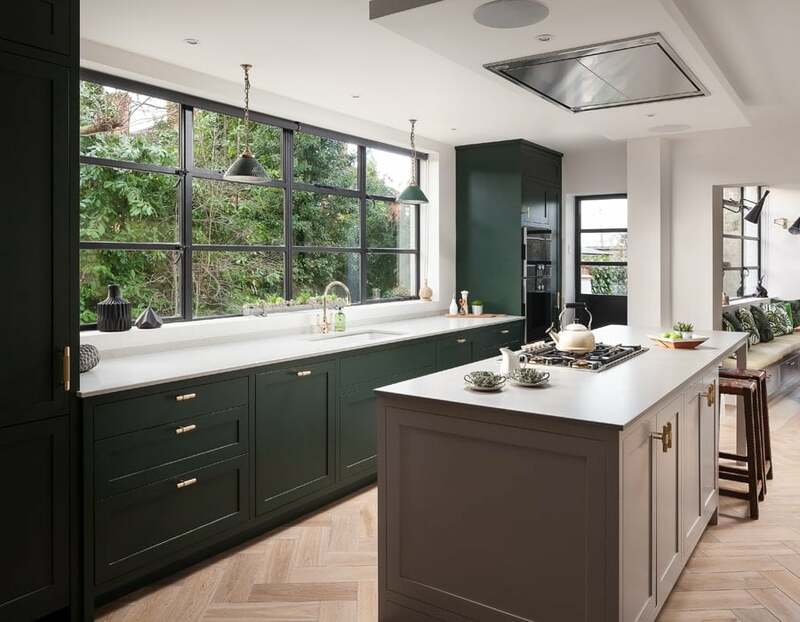 "We were about to refurbish our kitchen extension when a friend suggested we speak with Kitchens by Holloways. Robert came to our house and convinced us to completely change where we had intended to locate the kitchen and dining areas. Now it’s done, I simply couldn’t imagine it any other way." "By developing a kitchen design with a walk-in pantry, Charles managed to improve our kitchen design, save money, and now we have more storage space than we ever thought possible." "My husband and I were struggling to get excited about changing our kitchen until we met Richard. He was simply more enthusiastic than anyone else we met and came up with better ideas."